Hacked! 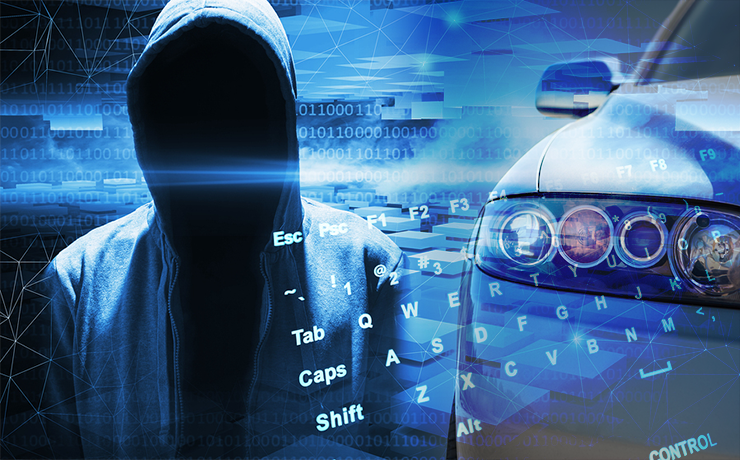 Edition – Are Criminals Hacking Cars? This isn’t any cause for alarm, really. It was a controlled experiment, where Tesla paid hackers to access the computer system and attempt to shut down the engine. It worked. More or less. The “hackers” had to manually connect with a USB cable and download a virus before they could control the car. I imagine they were given access to the Tesla, though the article doesn’t say how the hackers managed to gain entry. At any rate, the hackers were in fact able to shut the car down causing the emergency brake to engage, which could certainly be dangerous. However, the feat could only be accomplished at a speed of five mph. At speeds higher than that, the hackers could still shut the car down, but the driver maintained control and the car shifted into neutral. Not exactly a dangerous, hit the panic button threat here. I will say a couple of weeks ago a more serious breach of a vehicle happened and it didn’t get a lot of press. A Jeep Cherokee in St. Louis was hacked remotely from Pittsburgh. http://www.autoblog.com/2015/07/21/jeep-cherokee-hacked/. The hackers in this case used the cellular connection to breach the vehicle and assume control of and track the vehicle. This is a little alarming. In both cases, Tesla and FCA fixed their vehicle vulnerabilities. Problem solved. Let’s be honest for a moment. The likelihood that an unsavory character is going to: a) take the time to break into your car while it is parked in your garage, outside your home, or at work and then b) wait until you drive off so he can hijack said car and then attempt to wreak havoc on the roadways are slim to none. Odds are that the people who would want to use a vehicle as a terror weapon have (for lack of a better expression) better choices. I tell you what I am worried about: our government finding and exploiting vulnerabilities in vehicles to track its citizens. I hate sounding like a member of the tin foil hat crowd, but our government is more likely to take advantage of this than any criminal or terrorist group. At least that’s what I think. Why would I say that? Take a look at this: http://arstechnica.com/tech-policy/2015/08/ping-susp-phone-an-oakland-shooting-reveals-how-cops-snoop-on-cell-phones/. Yeah it’s apples and oranges, but it goes to show what a government agency is willing to do to skirt laws. But I digress. What do you think about vehicle hacking? Is it a problem? Should we rush to secure vehicles? Or should we go find a classic non-computerized and unhackable vehicle? Is 95 going to be the new 87? The EPA wants to know if raising minimum octane from 87 to something higher will make vehicles more fuel efficient? I wonder what the impetus for the investigation is. Lack of interest in and feasibility of green tech? Who knows. This will be interesting to watch and see how it takes shape.